oh-em-gee. 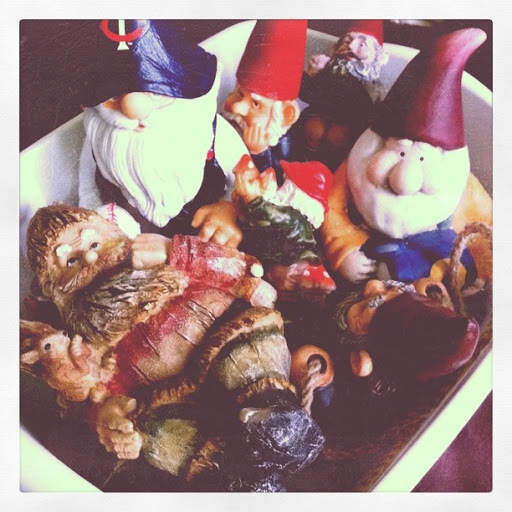 | there's no place like gnome. I sit at a hotel in Roseville, staying with my mom and sister since my bed is already packed into the back of my mom’s suv. Three grandparents and an aunt are also here, and we await an aunt, uncle, and two cousins tomorrow morning. One emotion I can articulate – nervous! I’m not even speaking [as my rapping friend, Joel, is] but I do need to walk across a stage and lean down to be hooded. [so not a big deal really but I’ll make it into a big deal] Smile pretty for pictures. Hug people. Say goodbye?! And then it will be over. My family leaves for home tomorrow night; what my celebration will look like is questionable. I’m not quite sure what I’ll do with myself when the hype of the day is complete.